Hi Karen! It wasn't me but thanks for keeping us all up to date on what is happening with the Scottish Prisoner and everything "Outlander"! Can't wait for November 29th! Karen, I'm so happy to read that your viewers have increased so much! I try to come often because I think your site is easy and interesting to read. Keep up the amazing work! Sandra - thanks so much for the kind words! I'm glad you've been enjoying my blog. Karen, thanks for the tip about the B&N audio version being one third off. I will be pre-ordering. 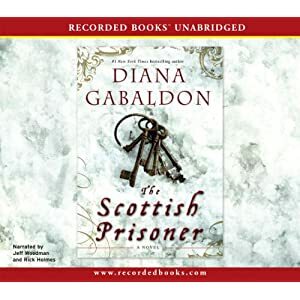 I have only bought one audio book before this, but I have to hear Jamie's voice. His lordship is another favorite, so I will be in audio book heaven.